CALL US OR FILL OUT THE ONLINE FORM! There are a number of ways to enhance both the functionality and beauty of the rooms in your home, and one of these is to install bay windows and bow windows. There is a variety of both aesthetic and functional benefits to adding this style of window to your home. Natick Window Company is the area’s top choice for installation and replacement bay windows, as well as bay window repairs! As with any industry, the world of window manufacturing is always changing. Our expertly trained staff will supply you with the most current information on bay window and bow window products and services so you can make an educated decision when choosing the perfect bay window for your home! A three-window combo makes up a bay window: the largest of these sits in the middle, with the two smaller windows mounted on each side. In most cases, the large middle window is stationary, meaning that it does not have hinges or hardware with which to open. Most middle windows in bay windows remain stationary and are not able to be opened. The side windows, however, are usually casement windows, which means they open on hinges and let in light and airflow. As with any installation or replacement window from Natick Window Company, you are able to customize your selections to make sure that they are exactly what you want! If you want to choose different window styles and options for you bay window, our experts will work with you to make sure each window is exactly what you’re looking for. If you are adding a new bay window to your home in Natick or the Greater Boston area, you may find that you want to add an accompanying window seat or bench with it. This is a frequent choice with bay windows, and can add an aesthetically pleasing element to your room as well as a great deal of character. When professionally installed and properly maintained, bay windows can add to the overall valuation of your home. If you do choose to add a window bench or seat, this can have the same effect on your home’s value. In addition, depending on the functionality of window bench that you choose, you may also add more storage space to the room in which you have the bay window. At Natick Window Company, we have a large number of resources when it comes to both window styles and window manufacturers. We work with all of the top brands in the industry to make sure that we only offer the highest quality installation and replacement windows available. If you are thinking about installing a bay window or bow window in your home, or if you are in need of bay window replacements or repairs, don’t wait – call the expert technicians at Natick Window Company today! Our staff members are standing by to take your call. We can't wait to talk with you about how we can make your space even more comfortable with a beautiful bay window. 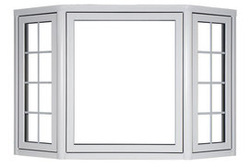 Give us a call at 508-251-8038 to find the perfect bay or bow windows for your home or business.